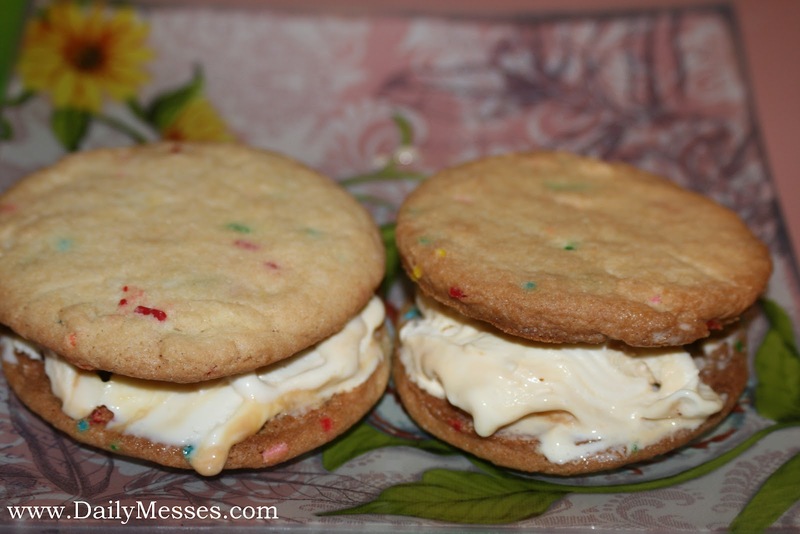 Daily Messes: It's National Ice Cream Sandwich Day! We made our own ice cream sandwiches...yum...It's pretty easy to make your own! Don't feel like making cookies? Buy ice cream sandwiches at the store and pick up some sprinkles too! 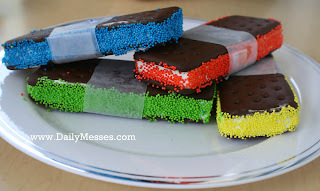 There are different kinds of ice creams sandwiches out there to enjoy: square, rectangular, mini, wheelies (round ice cream sandwiches), and in different flavors too!